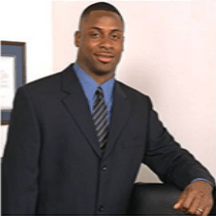 Troy Darnell Vincent (born June 8, 1970) is a former American football cornerback for the Miami Dolphins, Philadelphia Eagles, Buffalo Bills and Washington Redskins of the National Football League (NFL). He was drafted by the Dolphins with the 7th overall pick in the 1992 NFL Draft. He played college football for Wisconsin, and has been named as a first-time nominee to the 2017 College Football Hall of Fame. On September 28, 2011, Vincent was named as one of the Preliminary Nominees for the NFL Hall Of Fame Class of 2012 in his first year of eligibility, and each year since. Forbes Magazine named Vincent to its prestigious 2016 list of Most Influential Minorities in Sports and Savoy Magazine also honored him with inclusion as one of their 2016 Top 100 Most Influential Blacks in Corporate America list. In June 2016, Troy was named by USA Today as one of the NFL's 100 most important people. Ebony Magazine recognized him as one of the 50 Most Influential People in Sports today and he was named to the 2015 Ebony Power 100 list, honoring those who lead, inspire and demonstrate through their talents, the very best in Black America. Sporting News named him on the 35 or Younger Most Powerful People in Sports. Troy has also been recognized as the recipient of the 2016 John Wooten Executive Leadership Award, the Jim Mandich Courage and Commitment Award 2016 for his stance on domestic abuse and the 2016 Call to Men Award for Institutional Change for using his influence to prevent violence against girls and women. In October 2016, Troy received the "Champion of Change" Award from Colorado University Denver's Center on Domestic Violence. He received the 2015 Humanitarian Award for significantly advancing the Peace Over Violence mission of building healthy relationships and communities free from sexual, domestic and interpersonal violence. In 2012, Troy also received the National Jefferson Award for Public Service, considered the Nobel Peace Prize, for extraordinary community service and for making the world a better place to live. Prior to the 2004 NFL season, Vincent signed a free agent contract with the Buffalo Bills with the departure of cornerback Antoine Winfield. During his time in Buffalo, Vincent transitioned from the cornerback position, which he had played all his career, to free safety. In his first season as full-time safety in 2005, he had a career-high 102 tackles and a team-high four interceptions. As part of his role as the NFL's head of Football Operations since 2014, Troy is a member of the American Football Coaches Association; an organization that represents coaches across the United States and is often consulted by the NCAA and the media regarding rule changes and developments occurring in college football. Troy and his wife Tommi have five children – three sons and two daughters. Tommi is a cousin to drag racer Antron Brown. ↑ "The NFL Ops Team | NFL Football Operations". operations.nfl.com. Retrieved 2016-12-02.